This Fall, Let There Be Light! As our daylight hours slowly decrease heading into winter, you may find yourself in dimmer surroundings than in the long, bright days of summer. That’s okay! At The RoomPlace, we know just the thing to brighten up any room in your home—and add a little something new to your décor as well. Lighting is a home accent option that gives you both form and function. No matter what your design sensibilities are, there’s probably a lamp or light fixture that will fit your need. Let’s take a quick look at the types of lighting available to you. First and foremost, we’ve got the taller varieties of floor lamps: ranging from the spiral Gillespie floor lamp to the angular On Demand floor lamp to the simple elegance of the Remote Control floor lamp (which, as you’d expect, comes with a remote control), there’s truly something for everyone. If you like something with a broader range of light, the Mikaela Floor Lamp is a great choice, with multiple bulbs that fan out from its base. Are you in need of a lighter, brighter interior? 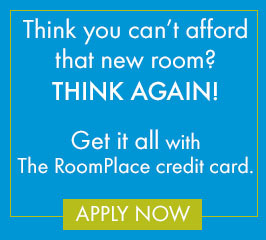 Let us here at The Roomplace help you out. We’d love to provide you with the perfect lamp for your living room, dining room, bedroom and beyond. 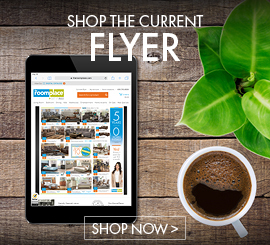 Chicagoland furniture shoppers are welcome to come explore any one of our Indiana and Illinois locations! Come see us today.